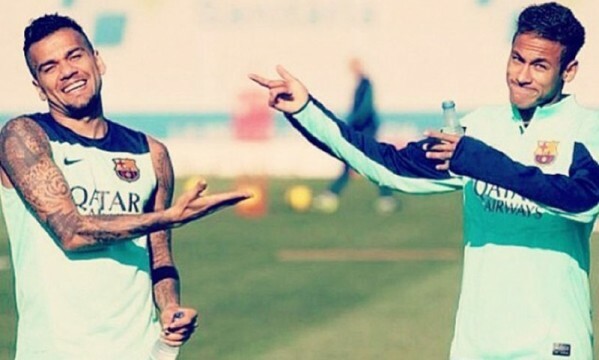 Daniel Alves: "Neymar will show how special he is in this World Cup"
The experienced Brazilian full-back Daniel Alves, was one of the 23 players picked Luiz Felipe Scolari to represent Brazil in the 2014 FIFA World Cup. Unlike his fellow teammate in FC Barcelona Neymar Jr, this won’t be the first time Daniel Alves stars in a tournament with such a big magnitude as a World Cup, since he has already played for the “Escrete” in 2010, during their WC campaign in South Africa. Daniel Alves: “We are not obsessed with winning our 6th World Cup. I don’t even think we’re under any sort of additional pressure to do it. It’s natural for most people to wish a Brazilian victory at the end of the tournament, especially since we’re playing at home this time around”, started by stating the FC Barcelona right-back in an interview granted to Times of India. Daniel Alves: ” Our performance in the Confederations Cup was a great surprise to everyone. We’ve beaten Italy, Uruguay and Spain, three former World Champions and all in straight games. That has to be something special! That trophy allowed us to boost our confidence for this World Cup. Brazil goes into every tournament with only one intent: to win. We’re always full of confidence and since we’ll be hosting the tournament now, I believe it will be a huge factor playing in our favor”, remarked the 31-year old footballer. In regards to the disappointing season he has had with FC Barcelona and where they’ve failed to get their hands into any silverware, the Brazilian defender doesn’t seem to be too worried. 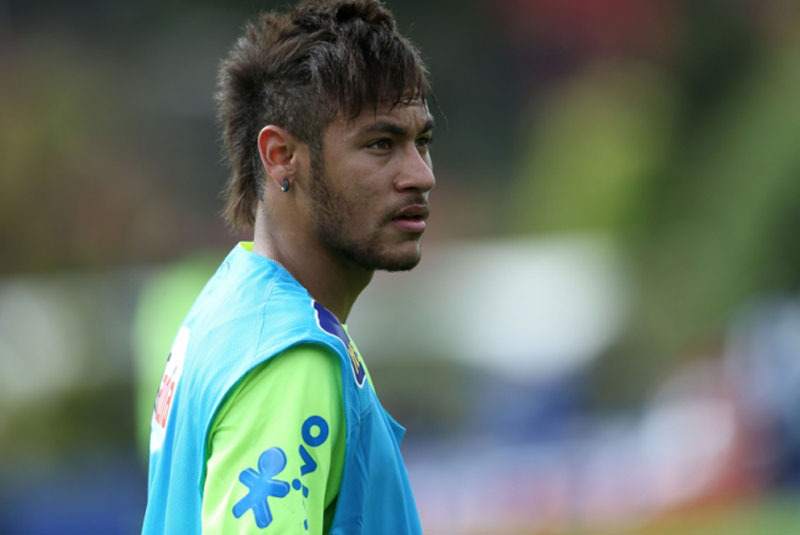 He prefers to focus on the positive side of all past experiences and firmly believes that Neymar will be shining in the upcoming 2014 FIFA World Cup. Daniel Alves: “It’s not possible to win every tournament season after season. We fought until the end for the Spanish League and we had realistic a chance of clinching the title if we had won against Atletico Madrid on that last league fixture… As for Neymar, hes incredibly talented and he had a great season with us. We have to remember that this has been only his first season in Europe and that it isn’t easy to make your debut in a country like Spain. Barcelona plays a unique game style and every player who comes in needs time to adapt. However, I don’t even think it took him that long to adjust his style to the team’s necessities, basically because he has a great technique and tactical awareness. When a player is as young as Neymar is, it’s rare to see such a great combination between talent and maturity on the pitch. That’s why we all know that he is special and that he will show it in this World Cup“, commented the former Sevilla player. 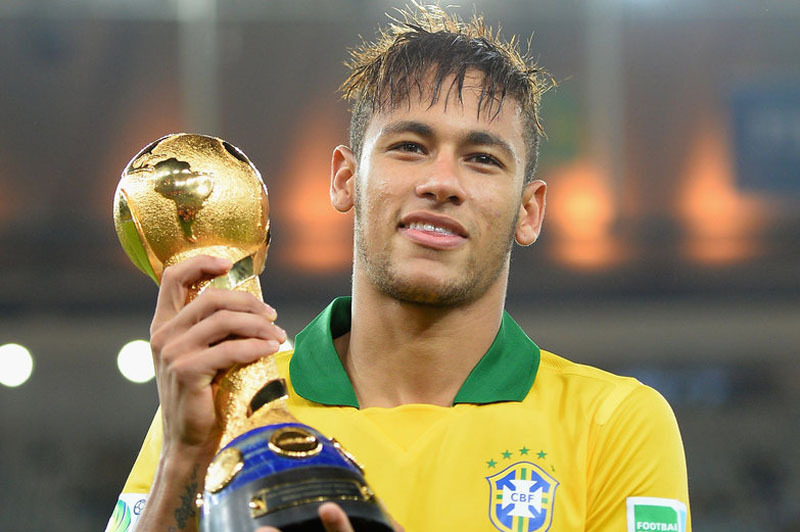 Brazil was drawn with Croatia, Cameroon and Mexico in the World Cup‘s Group A.